I think the color and the detail is best in this shot from a slight angle, as the flash didn’t wash out the color. 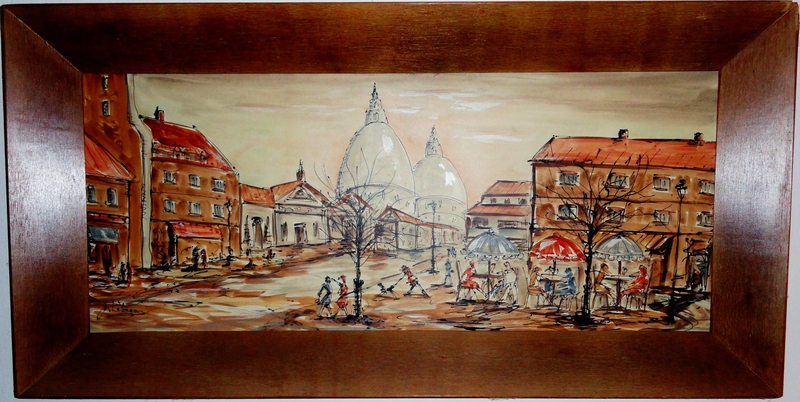 Mid century French pen and ink and watercolor painting of a Paris Street Scene, featuring Montmartre, Paris and the Sacre Coeur . Signed by the artist. Very well done. 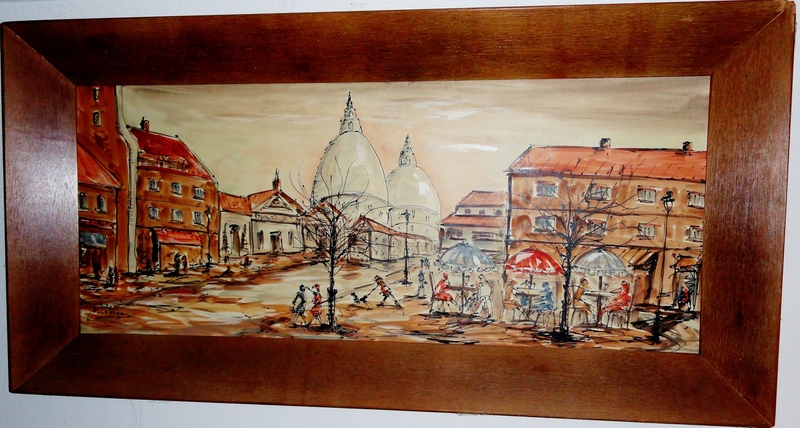 A few years back I owned a painting by the French artist Charles Cobelle. I would say that this artist may well have been a contemporary of Cobelle, or Marcel Dufy, as the use of the open line, color, energy, subject matter, and even whimsy, seem similar to me. 23 1/2″ x 46 3/4″, framed.